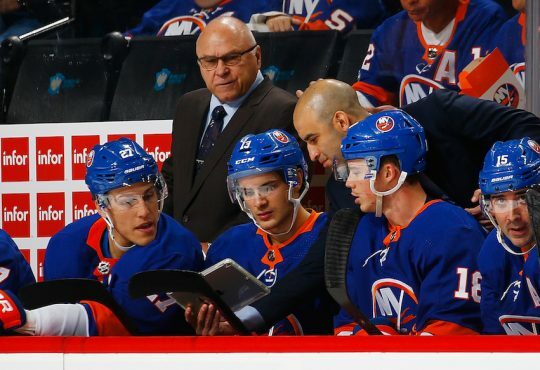 Throughout this season, Our Rob Taub will give his preview of the week ahead for the New York Islanders. There will be what to watch for, and one x-factor for both the Isles and the opposing team they face that night. Happy New Year Islanders Country. It’s been an interesting year so far for the blue and orange. A lot of highs and definitely a number of lows. But a new year brings new beginning. And after a rough 5-8-2 December, and the embarrassing performance in Colorado last night to close out 2017, the Islanders are in need of a fresh start. The Islanders will begin 2018 tomorrow night when they welcome the Bruins to Brooklyn for a huge Eastern Conference tilt. These two teams met just a few weeks ago in Boston with the Bruins prevailing 3-1. The B’s have shot their way up in the Atlantic Division led by their three stars — Brad Marchand, David Pastrnak and Patrice Bergeron. They’re also coming in to Barclays Center winning six of their last seven games. On the other side, the Islanders will look to end their two-game losing streak, and make it three straight wins on home ice. Josh Bailey will look to make it 12 straight games with a point. Matchup to watch: New York’s offense against the Bruins goaltending. The Isles are second in the NHL in goals for, while the Bruins rank third in goals against per game. After their game with Boston, the Islanders enter a three-game in four day stretch starting in Philadelphia Thursday evening. This will be the third of four meetings between the clubs this year, with New York winning the first two games in a home-and-home series back during Thanksgiving week. The Flyers are a way different team from the last time the Isles saw them, despite losing three of their last four. Philly has played better as of late and are on the outside of the Metro looking in to potentially steal a wild card spot. Shayne Gostisbehere is having a career year and is in the Norris Trophy conversation. New York will be looking to win their first road game in four weeks. 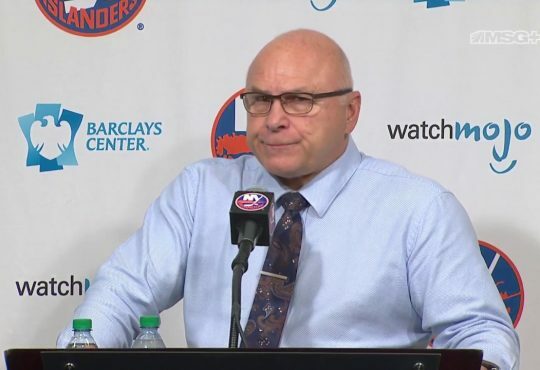 They’ve lost six of their last seven away from Barclays Center, being outscored in that time 29-18. Matchup to watch: In the circle. The Islanders rank in the bottom-five in faceoff percentage, while the Flyers are second in the league in that facet. 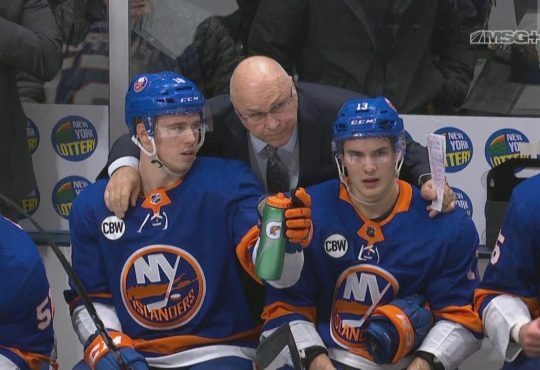 The Islanders will complete their Pennsylvanian exchange when they play the Pittsburgh Penguins at home Friday night. This will be the second game of a back-to-back for New York, and the second meeting with the Pens this season. This being the first time in Brooklyn. 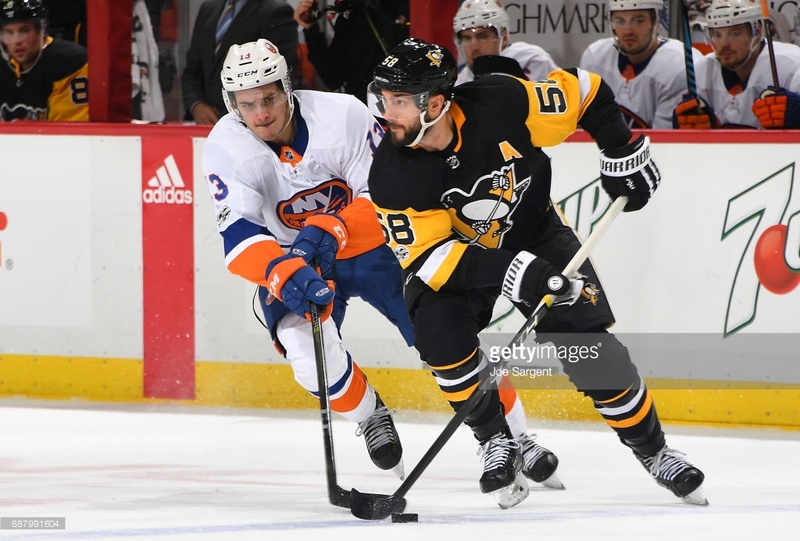 These rivals met a month ago in an entertaining affair with the Pittsburgh winning in overtime 4-3 despite a third period comeback by the Isles. Mike Sullivan’s crew has yet to turn on the afterburners as they sit in the seventh spot in the Metro. 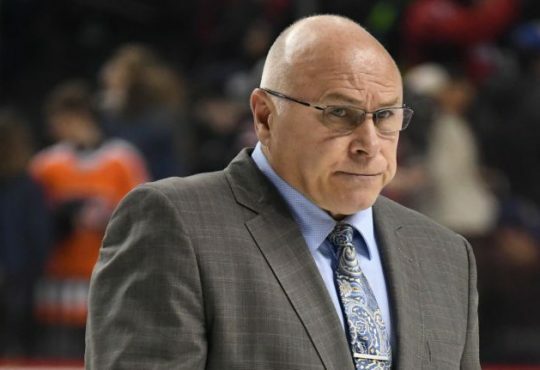 Their defense has been a weak spot and the offense has been stagnant, something we’re not used to hearing when it comes to the Penguins. Doug Weight’s will look to make it four straight games notching at least a point against the Pens. Matchup to watch: The goaltending. Neither teams’ goalies have been consistent this year, so this one could be a shootout offensively. Ending their three-game in four nighter, the Islanders will face off in an afternoon matinee with the surprisingly-good New Jersey Devils. Sunday’s 1PM start will be the first of four games between the Isles and Devs, with New York winning three of the four games played a year ago. The Devils have had the biggest turnaround of any team in the NHL this season. They play hard and their offense has improved ten-fold — led by Taylor Hall, Nico Hischier, Jesper Bratt, and unknown Brian Gibbons. They added Sami Vatanen to an already underrated defense, and have received excellent goaltending from Cory Schneider and Keith Kinkaid. New York has dominated New Jersey over the last five years, but Sunday’s game could be turning point in the rivalry. Matchup to watch: Offense and special teams. Both teams are in the top-ten in scoring. The Islanders very good power play could have some difficulty with the Devils stout penalty kill.